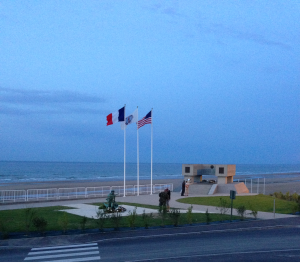 Located in Vierville-sur-Mer, France, on Omaha Beach, the National Guard Monument sits on the spot where the 29th National Guard Division broke through German defenses on D-Day, June 6, 1944. The monument and the original bunker which it sits atop are maintained by NGEF to preserve the legacy and pay honor to all National Guardsmen who have fought in the European theater. 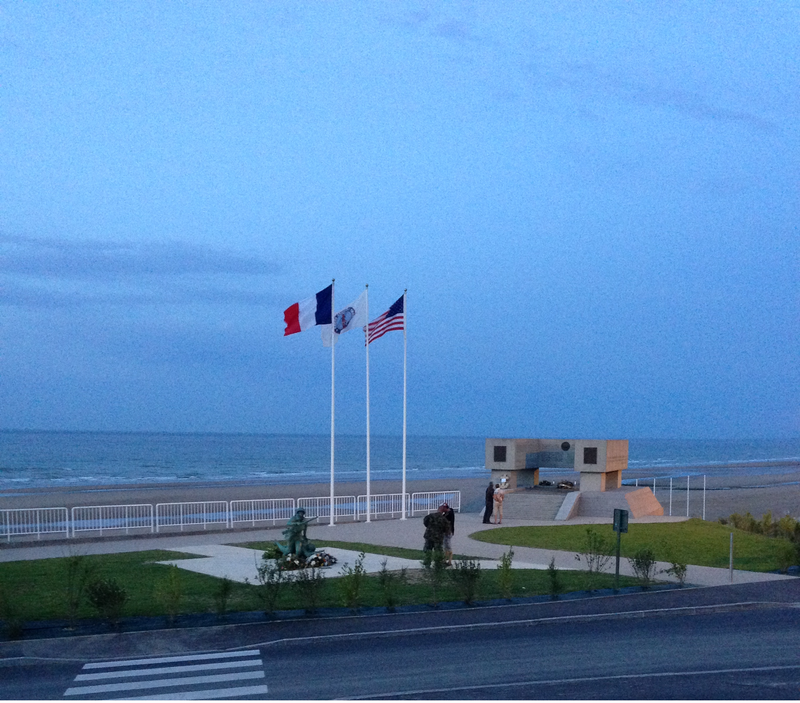 To see images of the NGEF team’s July 2013 trip to the monument in Normandy, visit our Facebook album. Read more about NGEF’s most recent trip to the monument on our blog and in the National Guard magazine article. Interested in visiting? Visit our website for updates coming soon on this year’s NGAUS Battlefield Tour! The three flags that fly in front of the Monument have been generously donated in perpetuity by Annin Flagmakers of Roseland, N.J. Because of high winds from the channel, the flags are changed both seasonally and approximately every sixty days. Special thanks go to Annin Flagmakers VP Bob Caggiano and to the citizens of Vierville-sur-Mer, FR. The Monument and the property it rests on are owned in fee-simple by the National Guard Association of the United States (NGAUS). The title and plat may be viewed at the links provided.